We’d love your help. Let us know what’s wrong with this preview of Journey to Territory M by L.J. Epps. Emma Whisperer’s journey continues in this sequel to the Extinction series. Emma, the last eighteen-year–old in Territory L, finally escapes Territory L and makes it into Territory M. She tries to find her niece, Abigail, and searches for the leader of Territory M to see if the walls can come down. She brings two friends with her on her journey to finish what she started b Emma Whisperer’s journey continues in this sequel to the Extinction series. Emma, the last eighteen-year–old in Territory L, finally escapes Territory L and makes it into Territory M. She tries to find her niece, Abigail, and searches for the leader of Territory M to see if the walls can come down. She brings two friends with her on her journey to finish what she started back in Territory L.
To ask other readers questions about Journey to Territory M, please sign up. Emma has gotten herself trapped in an evil game of cat and mouse and she seems to be on the losing side. A dangerous family secret has her stealing into Territory M while attempting to convince the middle class to help bring the walls of division down. She is about to find that her problems have followed her and multiplied as she once again has come under the scrutiny of the president and her goons. L.J. Epps’ JOURNEY TO TERRITORY M had the HUGE potential to bring growth and more depth to each character, particularly Emma. Yes, I was entertained, but there wasn’t the movement I expected and wanted. Will Emma find who she can trust? Has she put all of her eggs in one basket, unprepared for what lay ahead? Will she find the leader of Territory M, if she does, can she convince the leader to join her cause? Why should they? Almost like a filler between the opening and final acts, things move just a little slow. That said, it still brings new questions into play as we must wonder how Emma will get out of the mess she gets her allies into! I received a complimentary copy from L.J. Epps! Craigluy is a world divided according to class. Lower, middle and upper classes are separated and live totally different lives. In Territory L, Emma Whisperer is the last child to turn 18. The last baby to grow up. Lower class citizens have been deemed irresponsible and are no longer allowed to have children. Anyone who comes up pregnant is arrested, forced to bear the child and watch as the baby is taken away to be killed. It is a brutal world to live in. Those in Territory M and Territory U ha Craigluy is a world divided according to class. Lower, middle and upper classes are separated and live totally different lives. In Territory L, Emma Whisperer is the last child to turn 18. The last baby to grow up. Lower class citizens have been deemed irresponsible and are no longer allowed to have children. Anyone who comes up pregnant is arrested, forced to bear the child and watch as the baby is taken away to be killed. It is a brutal world to live in. Those in Territory M and Territory U have other options, but President Esther controls all aspects of society no matter which class. Emma Whisperer....the last child....wants to change everything. She wants everyone to live together again...for people to be free. The Extinction of all Children series is a trilogy. Book one introduces Emma and centers around Territory L. The storyline moves from L to the middle class area and on to the upperclass walled-in territory in the final book. I enjoyed how the characters developed throughout this series. Emma knows in the first book that she wants to see President Esther's policies destroyed...to remove the segregation from the people of Craigluy. Over the 3 books, Emma and the followers/supporters she gathers go from dreaming of freedom to actually fighting to try and make it happen. President Esther is a worthy, tricky adversary. She is wiley and wise. I found myself not able to totally hate her. Down at her very core, there is some good....at one point she actually had the best interests of the people at heart. But it got twisted inside her mind. Absolute power really does corrupt. All in all this series is a very enjoyable read. I found the premise a bit unrealistic, but the story for me was enjoyable enough to override my sense of realism. The charcters are nicely developed over the 3 parts of the story. There is a lot of action, and the story moves along at a nice pace. There is plenty of suspense and some nice twists in the tale. Enjoyable read! Nothing inappropriate for older teenagers, but be aware that there is discussion of abuse, death, imprisonment, murder, infanticide, torture, violence and other topics that may require a trigger warning for some students/adults reading this series. I would like to thank Netgalley for providing me with this book. So, I really did want to like this one, but I just found it very hard to get into it. The first book in the series, I did actually like a lot, but this one was just missing something for me and I really can’t figure out what it was. I mean, it just didn’t get my attention. First off, I really didn’t find any character growth, which is something that I look for in a series. Characters are supposed to have some change in them, especially when they are put into dangerous situation and have to overcome that. Here, it just didn’t happen. Not only were the characters not growing, they were doing things that really didn’t add anything to the plot. In fact, it was like they were doing things just to kind of go against what they were supposed to be doing. The writing was a little strange here to. Some of the adjectives used, just didn’t really fit what was going on. It was almost as if the author was trying to hard to describe what was happening. Not only that, but the way things were worded was just strange too. It was like we were first told what was going to be shown, then shown it. Does that make any sense? It was almost as if it was worded a little bit too much. The plot was okay. I mean, this is the middle of the series, so we can honestly expect to have that middle of the series feel. It moved really quickly in some places, while managing to drag out longer than needed in others. It’s something that I think the author will be able to improve on-if she listens to her readers. I really do feel like she’s not, because she is doing the same thing here that she was doing in the first book. Again, I do think that this series does actually have a lot of promise, but so much was lost in this book. I really do hope that some clean up will happen, because this has a lot of potential. No thanks! I rated this as 1.5 stars. I honestly did not read the first book but regardless I feel like I did not miss anything at all. I read the entire first half of the page (every word count) and got bored after that and flipping only on dialogues until the last chapter. I had waited for Emma's character growth as I find her really weak and honestly Annoying. But that didn't happen either. For one, when Eric was in the holding cell, her first reaction was he was shirtless with his chiseled bod No thanks! I rated this as 1.5 stars. But that didn't happen either. For one, when Eric was in the holding cell, her first reaction was he was shirtless with his chiseled body and found him attractive more than ever. I seriously questioned Emma's maturity here. The book is a slow build for me. I get it why others like it. It's not just for me. Journey to Territory M is the second installment in author LJ Epps Extinction of All Children trilogy. In a place called Craigluy, which apparently exists between Arizona and California, a President has determined that the "country" will be divided into three territories for the lower class, middle-class, and the upper class. In 2080, she determined that no more babies were allowed to be born in the lower-class territory. Any baby born would be killed and parents punished with no chance at appealing her decision. I seriously struggled with the writing in this book. Too many times the wording made so little sense it kept me from following what was going on in the story. For example in chapter 6: why are you shooting a rat in the ac duct work if you are trying to sneak away? Why would you yell to "hurry up" if your trying to escape quietly out of the building? Chapter 7: "We end up at a set of steps. There are three large steps that we walk up. " It just comes off as someone trying to reach a word count or I seriously struggled with the writing in this book. Too many times the wording made so little sense it kept me from following what was going on in the story. For example in chapter 6: why are you shooting a rat in the ac duct work if you are trying to sneak away? Why would you yell to "hurry up" if your trying to escape quietly out of the building? Chapter 7: "We end up at a set of steps. There are three large steps that we walk up. " It just comes off as someone trying to reach a word count or something. I received a free copy of this book and opted to share a review. This is a first impression review and I plan on sharing my full review in April. The character development in this installment of the series is slightly better than its predecessor; however, the secondary characters seemed to evolve more than Emma. I found this strange because the plot is supposed to follow Emma. Maybe this is the author's way of emphasizing that Emma is unremarkable when compared to her peers, leading us to some so I received a free copy of this book and opted to share a review. This is a first impression review and I plan on sharing my full review in April. The character development in this installment of the series is slightly better than its predecessor; however, the secondary characters seemed to evolve more than Emma. I found this strange because the plot is supposed to follow Emma. Maybe this is the author's way of emphasizing that Emma is unremarkable when compared to her peers, leading us to some sort of huge revelation regarding the President's true motives for sparing Emma's life when she was an infant. This is really a shame because I want to feel emotionally invested in the protagonists of the books I'm reading, and I'm just not feeling this with Emma. I did, however, enjoy the political intrigue. It seems that almost everyone in the middle- to upper-class society have ulterior motives, and it's interesting to watch as those motives are being revealed. I was also impressed with the world-building and the society that Epps created, and these elements of the plot kept me reading. I felt this book, compared to the first, had a little bit more going on. I'm enjoying how the story is progressing and find myself still engaged in Emma's story. In this book, she escapes into territory M with Eric and Julian. Her niece Abigail is taken away by President Esther and Emma is hoping to find her. 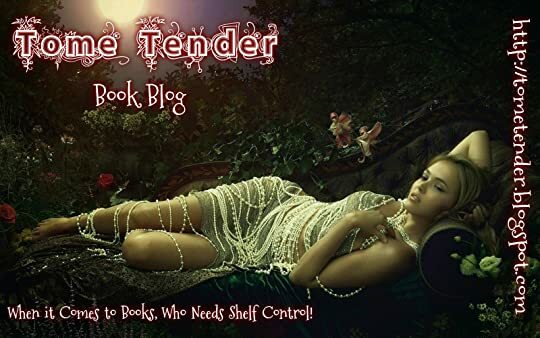 She meets some others along the way and her Thank you to NetGalley for allowing me to read this advanced reader’s copy in exchange for an honest review. All thoughts and opinions are my own. I felt this book, compared to the first, had a little bit more going on. I'm enjoying how the story is progressing and find myself still engaged in Emma's story. In this book, she escapes into territory M with Eric and Julian. Her niece Abigail is taken away by President Esther and Emma is hoping to find her. She meets some others along the way and her goals are to find Abigail and talk to the leader of M.
Emma was more annoying in this book. She's becoming careless and selfish. She's taking more risks in this territory and is continually putting herself and her friends in danger. I'm not sure if she is supposed to appear brave or fearless, but I just see her as reckless. Book two finds Emma in Territory M, along with fellow guards and escapees Eric and Julian. She is still searching for her niece, who may have been illegally adopted rather than killed. She also hopes to talk to the unknown leader of Territory M, in hopes that they will help her in her quest to tear down the walls. The underlying purpose of book two is simple: hide, and don’t get caught. So why are Emma, Eric, and Julian constantly doing things that would defeat that purpose? It was more than a li Book two finds Emma in Territory M, along with fellow guards and escapees Eric and Julian. She is still searching for her niece, who may have been illegally adopted rather than killed. She also hopes to talk to the unknown leader of Territory M, in hopes that they will help her in her quest to tear down the walls. The underlying purpose of book two is simple: hide, and don’t get caught. So why are Emma, Eric, and Julian constantly doing things that would defeat that purpose? It was more than a little annoying, to say the least. Things were often described in odd ways—wind ‘splashing’ or carpet ‘bending’—and feet are always stomping or thumping (as emphasized in the book). I think those annoyances led me to being nit-picky about how Emma is obsessed about her hair (given how often she thinks about it), and repeatedly thinks of her niece as Baby Abigail 99% of the time, because it really irritated me after a while. Great dystopian style of read. If you liked Hunger Games and Divergent, this is a series you may enjoy. Overall, great for teens. I enjoyed this book more than the first and look forward to book three. As Emma escapes into territory M, she attempts to change the middle classes view of tearing down class walls, but has to stay alive in the process. She makes new friends but also learns she can’t trust everyone she thinks that she can. New waves of danger happens as she tries to get to the leader Great dystopian style of read. If you liked Hunger Games and Divergent, this is a series you may enjoy. Overall, great for teens. I enjoyed this book more than the first and look forward to book three. This pick up where the first book ends, after Emma and Eric escape with Julian’s help to Territory M. Emma and company will have to learn that you can’t always trust everyone that you think you can and that those that you feel you shouldn’t trust can be your best ally. While there are some flaws with the writing, this is something that I feel will be resolved as the a This pick up where the first book ends, after Emma and Eric escape with Julian’s help to Territory M. Emma and company will have to learn that you can’t always trust everyone that you think you can and that those that you feel you shouldn’t trust can be your best ally. While there are some flaws with the writing, this is something that I feel will be resolved as the author gains more experience. In some ways, the tale parallels the adventure from the first book, though more intense. We still don’t know what the connection between Emma and the president is. This mysterious connection is the only thing that makes Emma’s survival believable. President Esther gives Emma too many chances and seems too naive. She gives Emma too much The second book in the series is darker than the first, portraying the Government in a much harsher light. There are more deaths, with almost no characters sacred. I am giving a fair, honest, voluntary review of this book. I am an arc reader. I was anxious to read this book. The first book in the series left me with many questions. I wanted answers. I have to say a few things were disturbing to me, but in a society structured like this one is it seemed a possibility that it could happen. One thing I found distracting was the constant use of the word pass in place of past. For instance. I pushed pass him to get in front. It may seem a trivial thing, but it I am giving a fair, honest, voluntary review of this book. I am an arc reader. I was anxious to read this book. The first book in the series left me with many questions. I wanted answers. I have to say a few things were disturbing to me, but in a society structured like this one is it seemed a possibility that it could happen. One thing I found distracting was the constant use of the word pass in place of past. For instance. I pushed pass him to get in front. It may seem a trivial thing, but it is just one of those things that stands out for me. I found the story line interesting and fast paced. I am looking forward to reading the final book in the series Journey to Territory U. 3.5 stars. We start to get some more answers but also a lot more questions about the world Emma is living in. The concept is sound but the details are shakey - I'm still not impressed with the forced love triangle situation and in this book, I feel like there was a lot of discussion about clothing, which was odd. Hoping this series ends on a higher note that makes it worth reading three books to get to the ending. Thanks to the publisher for providing this through Net Galley in exchange for an ho 3.5 stars. We start to get some more answers but also a lot more questions about the world Emma is living in. The concept is sound but the details are shakey - I'm still not impressed with the forced love triangle situation and in this book, I feel like there was a lot of discussion about clothing, which was odd. Hoping this series ends on a higher note that makes it worth reading three books to get to the ending. This review has been hidden because it contains spoilers. To view it, click here. This is the second of the Extinction series, once again the tension and fear presses into the reader as we follow Emma and the President’s feud. I enjoyed the story although I felt there were times it became a little dry and disengaging. I did enjoy the ending though. I see the writer knows how to inject tension and fear in her character’s lives. Some good twists in there this time. This is the second book in the Extinction of All Children series. It is a very exciting book. I find myself almost speed reading to find out what is going to happen next. This book has a few corrections that need to be made, but other than that it is a wonderful story. I can't wait to read book 3. To the Author: I would be glad to send you my notes on the errors if you are interested. 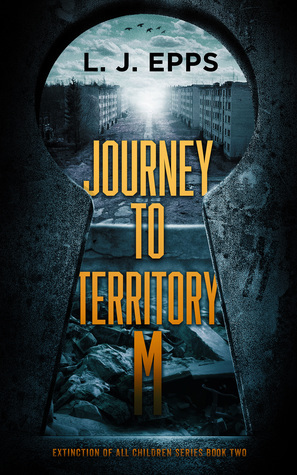 Journey to Territory M is the second in a series by L. J. Epps. Book one was Extinction of all Children. Journey to Territory M starts immediately where book one ended. Similar to The Hunger Games, these stories are for the young adult readers. I am far from that age group but enjoyed this story. I was given a copy to review. I have fallen in love with this series! I can't wait to see what Emma accomplishes. What guy she will choose? Will she ever figure out Rich's deal! I love it!!! This is another interesting installment in the trilogy. Although the plot is interesting, I felt like the writing was stilted and could have used a few more rounds of revision and cutting of superfluous details. While not as strongly written as book 1, I still felt pulled in. Definitely read in order. Good characters, but the dialogue was just weak. Full disclosure- I received a copy of the book from the publisher in exchange for an honest review. Slower does not mean it is poorly written. There must is a lot more descriptions etc. It is a very good series . Now starting third book. I was really looking forward to this one but it just didn't do it for me. I felt like we were treading water for most of this book. I didn't hate it but I felt like it was more extra than needed. Okay the 1st book blew me away! This book...... did it again 😁. I am just loving this story. Action packed, fast paced and it just doesn't let up. Perfect dystopian book for dystopian lovers! I received an ARC in exchange for an honest review. I really enjoyed this book it was my first by this author but not my last. I highly recommend it to everyone. In this second book. We find Emma has made it to Territory M. She is determined to find M's leader and try to talk them into tearing the walls down. To find her niece Abigail, and to try to bring equality to everyone. Imagine her surprise when the Leader of Territory M is President Esther's husband. In this part of Emma's journey she is betrayed, reunited with loved ones, separated from lived ones. People die and a deal is struck with President Esther. If Emma and her friends can reach Territory In this second book. We find Emma has made it to Territory M. She is determined to find M's leader and try to talk them into tearing the walls down. To find her niece Abigail, and to try to bring equality to everyone. Imagine her surprise when the Leader of Territory M is President Esther's husband. In this part of Emma's journey she is betrayed, reunited with loved ones, separated from lived ones. People die and a deal is struck with President Esther. If Emma and her friends can reach Territory U in a designated amount of time. They have a certain amount of days to gather petition signatures from the people there on whether they believe the walls should be torn down and people having equal opportunities to progress in their lives. Time is short, who knows if President Esther will honor her agreement or will she change the rules again? Over the last few years, L.J. has written several manuscripts; her mission is to publish all of them. She enjoys writing fiction in several genres, including contemporary romance L.J. Epps is a lover of all things related to books: fiction and nonfiction novels, as well as biographies and autobiographies. She has also been known to sit and read comic books from cover to cover, several times over.